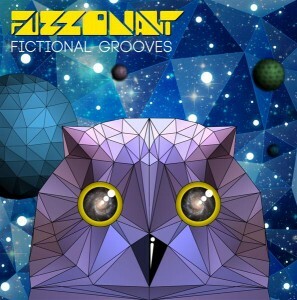 Fuzzonaut returns to Neurotrance Records with a new journey through space and time: Fictional Grooves! This release contains 5 full-length tracks filled with euphoric melodies, bubbling acid sounds, and driving bass lines, all with a distinctly old school Goa trance influence. Taking a retro-futuristic approach, each song explores dissonance and harmony, leading the listener into a magical universe full of mysterious and surprising sounds. Take a step into Fuzzonaut’s deepest thoughts and dance with your eyes closed! Mastered by Erofex with artwork by Gal Goltzman. MP3 Download | FLAC Download | WAV Download · Download count: 5,608. I think it should be labeled as suomi too. “Creatures From Planet Nurbach” is especially fun! The first three tracks make my ears bleed. Ugh. Sounds weird and even ugly at times, but what a good surprise ! It revives an extinct species : freeform goa. Thank you. We need more crazy stuff. Yeah, a lot more suomi than goa.